Show the world who you love with this sweet heart shaped message. 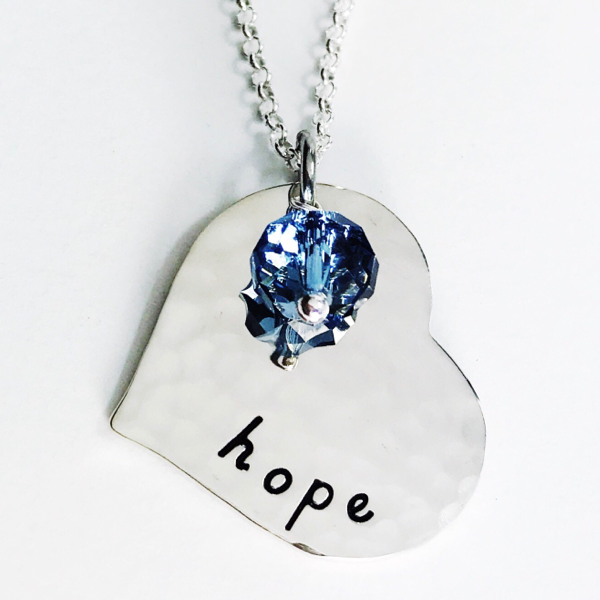 This pendant is a solid, thick sterling silver heart with your message or names/birthdates hand stamped on the heart. Also included- One dangle charm (freshwater pearl, or swarovski crystal). Extra embellishments are available if desired for $2 each. Please contact me if you want to plan something a little different than what you see. I'm happy to help.